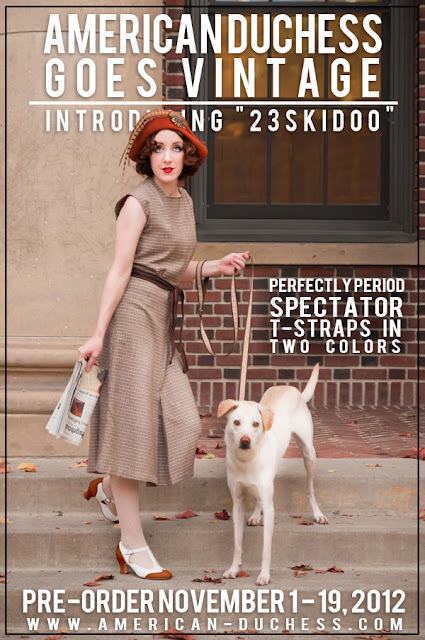 If you loved oogling some of the gorgeous shoe candy I posted earlier this week, drop by American Duchess to enter her 23Skidoo shoe giveaway! 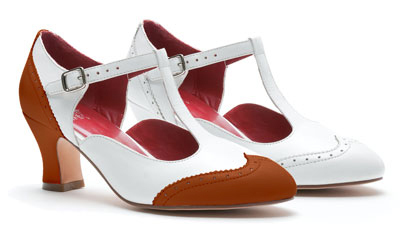 These new 1920's style t strap spectators have an exquisite french heel and are available in brown/white or all white. There's just a few days to enter, so hurry on over to get your name in the hat.